The Blackburn Vikings are proud to announce their junior first team coaches for the 2017-18 VJBL season. The Vikings have had a highly successful 2017 VJBL campaign, highlighted by our Under 20 Girls reaching the VC Grand Final this Friday night at the State Basketball Centre Court 2 at 8.50pm. 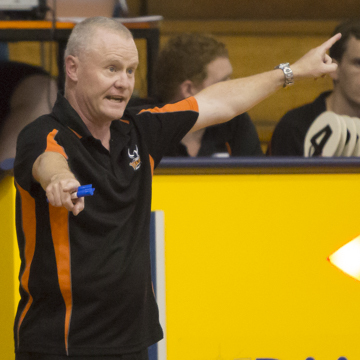 In addition to the appointments, current Division 2 Women’s Coach and former Australian Opals Assistant Coach, Peter Buckle will step into the role of Director of Coaching for the representative program beginning October 1. Paul Lankford will move into a more senior role. The Junior Boys line up will remain relatively unchanged with Shaun Coghlan, Paul Lankford and recently named Life Member, Scott Nicey continuing their outstanding work from 2017 with all three successful in reaching finals in VC reserve. Damien Di Cosmo will once again coach a First team, this time with the 12-1 Boys. The club would like to welcome back Rebecca Chan after a one year hiatus with the 14-1 Girls. The club also welcomes Blackburn Big V Captain Aimee Page into the line up after a number of years coaching juniors at Hawthorn. Big V assistant coach Hamish Ryan will take the reigns of the 16-1 Girls, Youth League Coach Daniel Jaunutis will take over the 20-1 Girls and Dave Zennaro will round out the appointments with the 18-1 Girls. BVBA President Dave Zennaro was excited by the year ahead. "The club is in it's strongest position ever. We would like to thank Paul for all his work as Director of Coaching, over the past 7 and a half years. Together him and Peter have put together an outstanding line up of coaches, coupled with our merger with the Nunawading Vikings gives us a true pathway from domestic, to rep to Big V."
Announcements for other teams are expected to be made in the coming days ahead.